Courthouse Justice Center - Cropped - The Law Office of Rick L. Ferrara, Esq. The Law Office of Rick L. Ferrara, Esq. 2077 E. 4th Street, 2nd Fl. 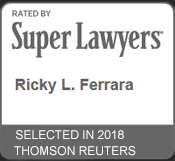 © 2019 The Law Office of Rick L. Ferrara, Esq..